The recent announcement of Virginia&apos;s Blue Ridge as a new IMBA Silver-Level Ride Center™ is generating attention for the region with major mountain biking publications and websites. As part of the public relations efforts of Visit Virginia&apos;s Blue Ridge and the International Mountain Bicycling Association, press outlets are spreading the word about the region&apos;s new Ride Center designation and its distinction of being the first Silver-Level Ride Center on the East Coast. Singletracks featured Virginia&apos;s Blue Ridge in a post on its website titled, "IMBA Announces 2018 Ride Centers, Including First East Coast Silver-Level." The post includes images taken by mountain bikers from popular riding spots in Virginia&apos;s Blue Ridge and mentions Carvins Cove, Mill Mountain Park, and Explore Park as notable trail systems. The coverage in a popular mountain biking outlet like Singletracks is a great example of the type of increased exposure and potential business Virginia&apos;s Blue Ridge will receive as a result of this Silver-Level Ride Center designation and the way it attracts mountain biking enthusiasts from around the world. Click here to see the full article on the Singletracks website. 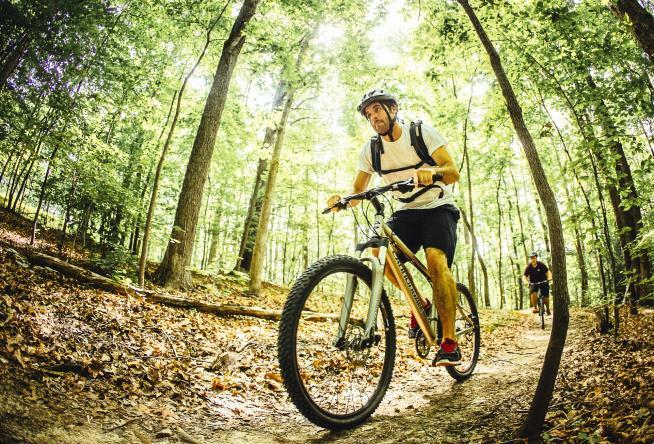 Visit our Mountain Biking section to learn more about what makes Virginia&apos;s Blue Ridge America&apos;s East Coast Mountain Biking Capital!